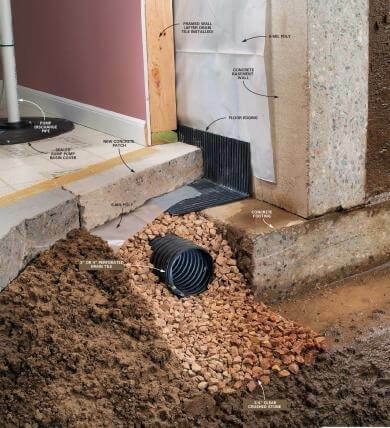 Basement Waterproofing Tips and Tricks - Top To Bottom Home Improvement | Roofers Rochester NY | Basement Waterproofing | Roofing Contractor rochester ny | Chimney Repair | Foundation Repair | Mold Removal | Insulation | Structural Jacking and Bracing | roofing contractor rochester | roof repair rochester | new roofing rochester ny | roof installation rochester ny | roofing prices rochester ny | roof contractor rochester ny | roof repairs rochester ny | Roof leak rochester ny | roofing service rochester ny | best roofing rochester ny | how to roof | roofing | roofs | Rochester NY Roofer | Rochester NY Roofing | Rochester NY Roofing Contractor | Rochester NY Roofing Service | Rochester NY Re Roof | Rochester NY Roof Repair | Rochester NY Roofers | Rochester NY Roofing contractors | Rochester NY Roofing Services | Rochester NY Commercial Roofer | Rochester NY Commercial Roofing Contractor | Roofer In Rochester NY | Roofing In Rochester NY | Roofing Contractor In Rochester NY | Roofing Service In Rochester NY | Re Roof In Rochester NY | Roof Repair In Rochester NY | Roofers In Rochester NY | Roofing contractors In Rochester NY | Roofing Services In Rochester NY | Best Roofer in Rochester NY | roof | how to roof | roofing | roofs | metal roofing | roofing shingles | roof shingles | steel roofing | roofer | roofing contractor | roof repair | roofing contractors | roofing companies | roofers | shingle roof | how to shingle a roof | roofing company | new roof | roof replacement | roofing repair | roofing supplies | roofing materials | roofing material | roof materials | roofing cost | new roofing | roof installation | commercial roofing | roofing products | roofing installation | roof contractors | roof contractor | roofing costs | roofing prices | roofing systems | roof repairs | rubber roofing | roof leak | slate roof | roofing service | best roofing | residential roofing | roofing repairs | roofing calculator | types of roofing | roofing shingles prices | steel roofing prices | abc roofing | concrete roof | charlotte roofing | roofing services | flat roofs | epdm roofing | clay roof | re-roofing | re roofing | roofing tar | metal roofing installation | roof repair cost | roof repair contractors | roofing felt | leaky roof | roofing rochester | copper roofing | roofing estimates | metal roof installation | flat roof repair | concrete tile roof | roofing jobs | quality roofing | corrugated roofing panels | commercial roofing contractors | metal roofing contractors | affordable roofing | torch down roofing | commercial roofing contractor | diy roofing | composite roofing | roofing paper | tile roof repair | roofing contractors association | decra roofing | rochester roofing companies | roofing contractors ny | discount roofing | metal roofing contractor | epdm rubber roofing | architectural roof shingles | roof shingles manufacturers | national roofing contractors association | interlock roofing | barrel tile roof | Spanish tile roofing | residential roofing contractor. 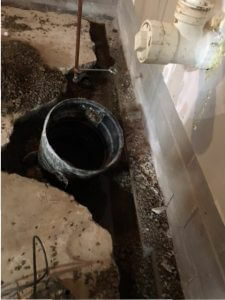 There are plenty of options when it comes to basement waterproofing Rochester NY but you want to make sure you get the best contractor for the job. The last thing you need is to settle on the wrong company and end up regretting it later. It can be an extremely costly mistake and one you don’t want to take lightly. Here are some tips for choosing the right basement waterproofing contractor. The most common thing for any consumer is to shop around to find the best price. This is especially true when it comes to homeowners shopping for home improvements. Now most of the contractors are going to come in around the same price range when it comes to waterproofing. But, with so many options available, you’re almost assured to have a few lowballers out there that are underbidding just to get the job. You have to be careful when considering these options. Ask yourself why they may be coming in so low when everyone else is around the same? Is it that all the other contractors are stingy and greedy, or is it more likely that this particular contractor may be cutting corners when it comes to supplies and labor costs? Just food for thought. When it comes to price, the lowest is not necessarily always going to be your best bet. Does the basement waterproofing contractor have any reviews? In this day and age, it’s almost impossible to have any service related business without having some kind of online reviews. With the prevalence of technology, it seems like everyone is a critic. Sites like BBB and Google are great for looking up a contractor. See if any previous customer has made legitimate complaints. You also don’t want to rule out the contractor just because of a couple bad reviews. The fact is that anyone can leave reviews and it is not uncommon for competitors to leave negative feedback to sway potential customers away from the competition. So the best bet is to actually ask the contractor about the review. See if it is legitimate. If they try to explain it away, chances are that it’s a real complaint. If they have no idea what you’re talking about, it may be a fabricated review so they will want to know! 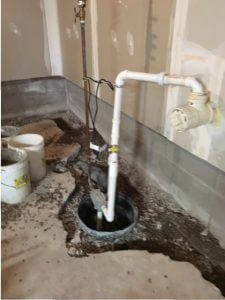 The fact is that not all contractors can waterproof a basement. It’s not something that is easy to do. You want someone who is experienced with this type of work. You can’t afford to let someone test their skills on your basement! Ask the contractor how many basements they’ve done and how successful they have been. See if they are doing things the same way that they did 10 years ago or if they have evolved their methods of waterproofing. These are just a few tips when it comes to finding the best contractor for waterproofing basements. There are plenty of options available but if you do your due diligence and adhere to some of these tips, you will be completely satisfied with your experience and comfortable that you’ve made the right choice for your home!